I am a Graduate Consultant Engineer with a Master’s Degree in Mechanical Engineering from the University of Lincoln. 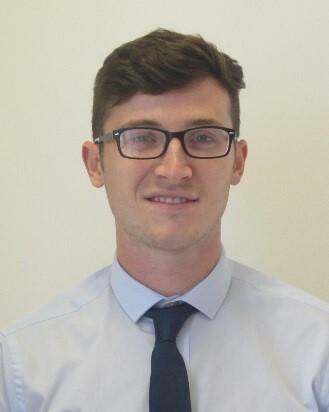 I am currently in my first year of Ricardo Rail’s two year graduate scheme. I attended an assessment day back in 2016 knowing relatively little about Ricardo Rail and their graduate scheme but I was instantly sold to the programme once I witnessed how passionate the employees were about the scheme and I learnt about all the opportunities available. I am primarily based in the Derby office but I am currently doing a 3-month placement in the London office helping write safety cases for a new fleet of high speed trains. I also have a 3-month overseas placement and another 3-month depot placement to look forward to in the remainder of the scheme. I have had a high level of support throughout my time with Ricardo through the mentoring programme which has seen me partnered with an experienced chartered engineer from the company to help me to achieve my chartership and aid me with anything else I need along the way. In my 6 months on the scheme I have worked at 3 different sites from Derby to London in various departments and worked on a range of different projects. I enjoyed getting my hands dirty on a 6-week workshop skills course learning various skills including welding and turning. After that I then got to practise those skills working at a train depot in Derby on Ricardo Rails first entry in to the 2018 IMechE Railway Challenge. I have thoroughly enjoyed my time with the company and I am looking forward to my remaining time on the graduate scheme.